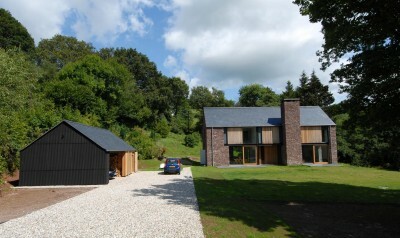 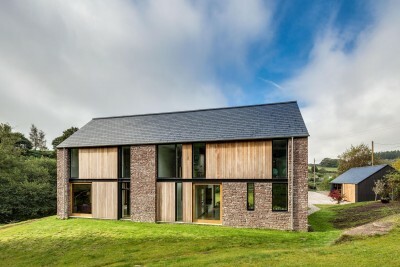 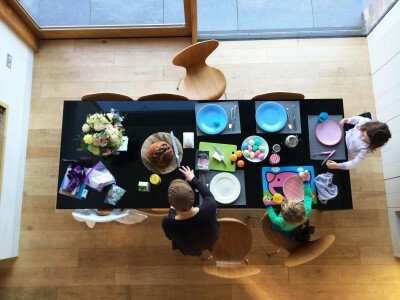 The Nook is a new-build four bedroom family house set in a secluded valley in Monmouthshire. 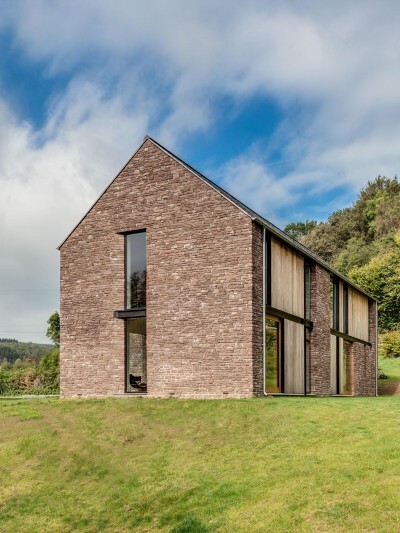 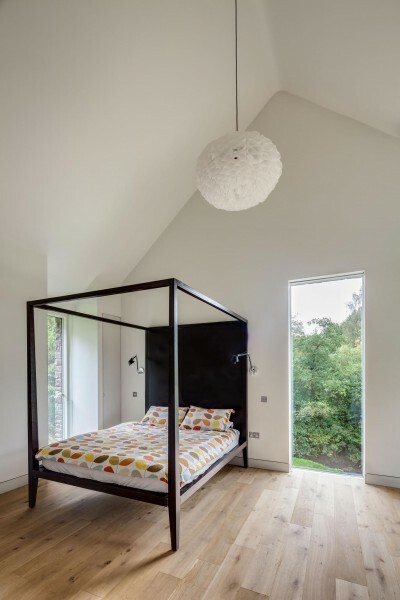 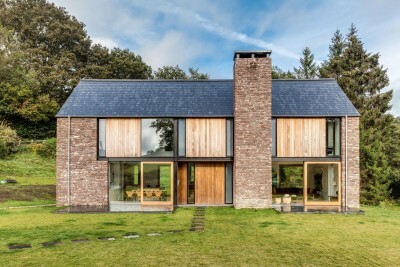 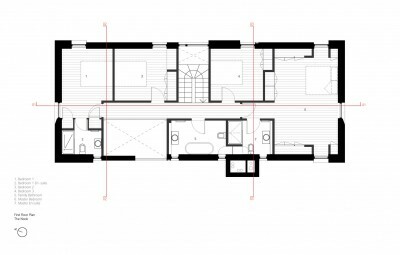 Planning permission for the 250m2 home was granted to replace a utilitarian 1960’s bungalow that had previously occupied a corner of the 1 acre Wye Valley site. 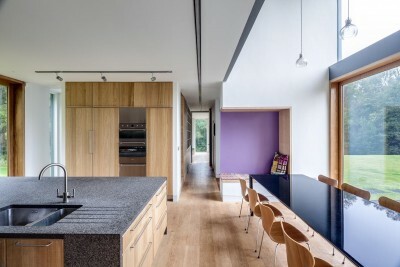 The design adopts simple, confident massing handled with a contemporary sensibility. 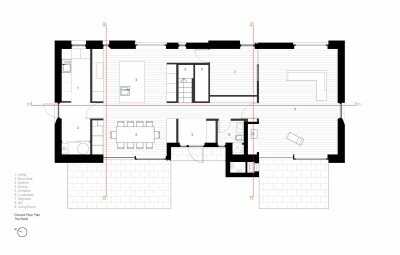 A steel frame enables an open and flexible layout incorporating double height spaces and long structural spans. 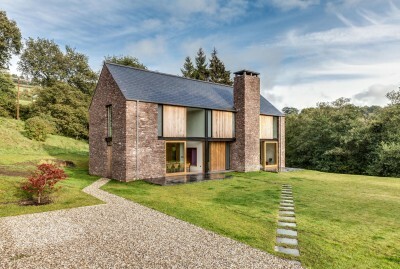 Regional materials such as locally quarried stone and natural slate have been used to establish a building with a natural affinity to its setting. 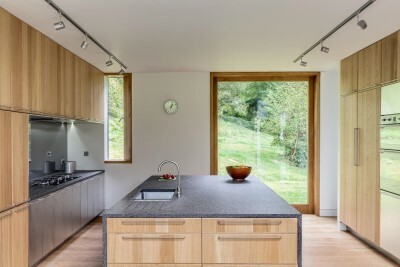 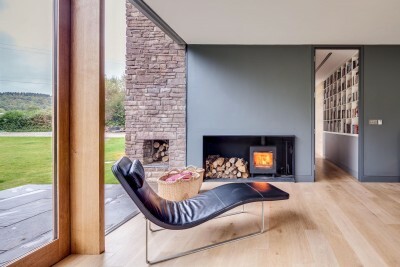 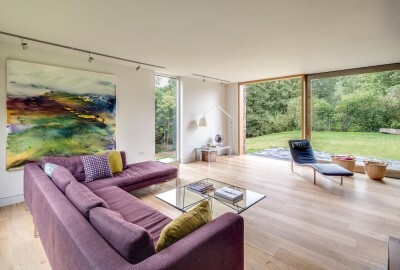 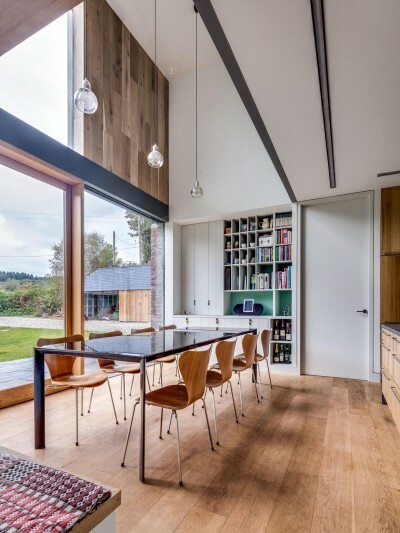 The privacy of the house’s rural location enables generous areas of glazing to be employed, illuminating the living spaces with natural light as well as framing views of the surrounding landscape, which appears to pass though the home. 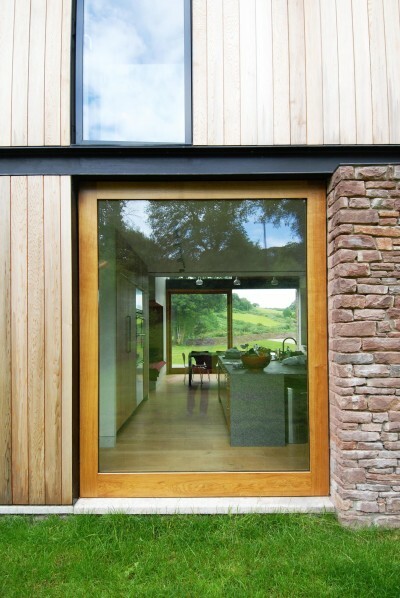 Large sliding glass panels open up the elevations to the outside.